I spent a good bit of time at the wheel of this week’s review car pondering some motoring items we take for granted these days. It’s surprising how little we challenge the general, often incorrect, consensus and how inaccuracies creep into the general motoring lexicon. For example we bandy around the words ‘SUV’ and ‘dirty’ and ‘green’ and ‘electric’ and even the most basic – ‘seat’ – a lot. I’ve been itching to highlight a few of these for a while so please bear with me. SUV, or Sports Utility Vehicle, was supposed to describe a muscular, burly, tall four-wheel-drive motor. The name is now being increasingly attributed to the cuddliest little two-wheel-driven shapes you ever came across. 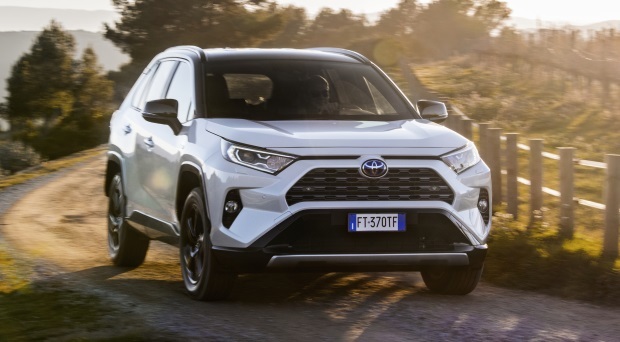 Some automakers have the decency to call them what they are – crossovers – but increasingly they are all lumped together and called SUVs. They’re not. The word ‘dirty’ is applied loosely to older diesel imports. They leak a lot of C02 and NOx. But so do a lot of cars of more recent vintage. Where do you cross the line between ‘dirty’ and ‘clean’? And when is a car ‘green’? All fossil-fuelled cars spit out harmful emissions. So when are they ‘green’ and when are they not? And then there is ‘electric’. Some makers, primarily Volvo, have abused this to include anything connected with non-fossil energy in their cars as ‘electric’. They are not. They have an electric element to their power-train, but the main thrust is petrol or diesel. Now it just so happened I was driving a vehicle with a few of these descriptive items on board. 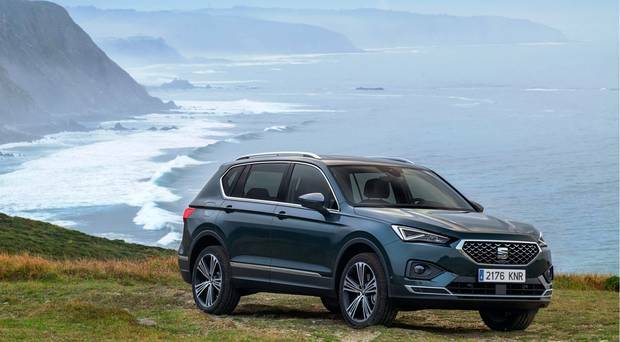 The SEAT Tarraco is a sparkling new ‘seven-seater SUV’ with a ‘green’ diesel engine under its bonnet. And it had 4WD (though most of the range is 2WD). So how did it stand up to closer scrutiny under the spotlight? First, a little background. The Tarraco is SEAT’s answer to demand for seven-seater SUVs and manifests its take on the formula that has given us the popular Škoda Kodiak and the more expensive Volkswagen Tiguan All-Space. Yes, they are all Volkswagen Group products, so we are talking variations on themes. 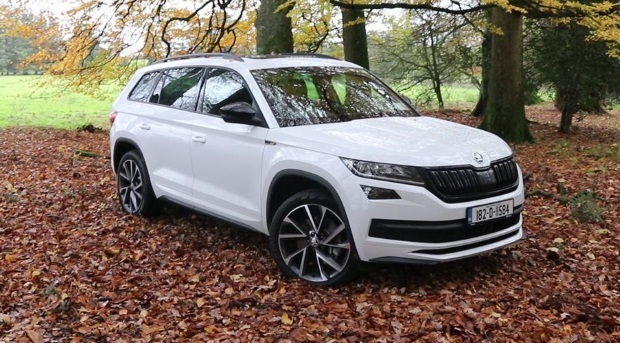 The Škoda relies on price and spec, the Tiguan aims more up-market; so it was left to the Tarraco to bring its USP to the table. They claim it is extensively equipped and place much emphasis on how the car handles and rides. Demand for seven-seaters is such that they expect 90pc of buyers to opt for one over the basic five-seat version. It costs €1,000 more for the extra two seats. It’s good value at that. Only they are not full seats – few so-called ‘seven seaters’ are. And it wasn’t that easy to access the third small-seat row – not too many others are either. So, if we’re strictly accurate, it is a five-seater + two (the middle row centre seat on my test car was really narrow, too). With the ‘seven seats’ in use, boot/luggage space is quite poor. With them folded flat, it is quite decent. I have to say that with 4Drive (4WD), this qualifies as an SUV, though it is not overly large or muscular. The cabin is excellent; loads of room up front, cubbyholes and decent seating for four of the front five passengers whatever about the back two. My Tarraco also had 7sp DSG auto which was seamless in operation, but kickdown reaction wasn’t great. And after all that, the car really came into its own big time on the open road. It had a balance and tautness not usually found with SUVs. Not that families have such attributes top of their must-have list but when you get the ‘feel’ of a car like this, it makes a hell of a difference. Against that backdrop, suddenly a lot of what I came to take for granted fell into place. It felt much more than a decent contender for the family seeking four/five full-time seats and two occasionals for the toddlers. The demand out there is for cars such as this: and there are 1.5-litre and 2-litre petrols if you are one of the increasing numbers turning up their ‘green’ noses at diesel. Overall, this comes together as a fine package. They’ve gone for a high-level ‘entry’ grade trim – hence the hefty mid-€30,000s starting point. I don’t think most people need the 4WD. 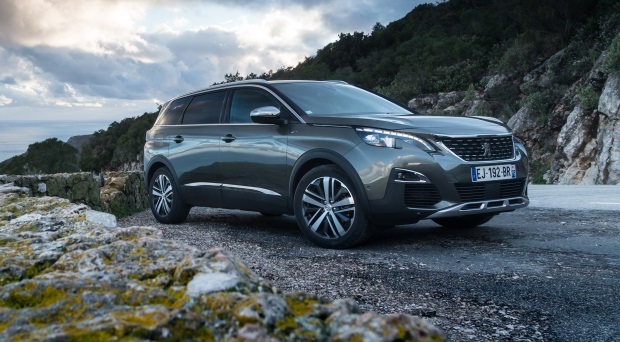 And the 150bhp diesel or petrols are probably more in line with what a ‘green’ family will want their ‘seven-seater SUV’ to bring to their table. 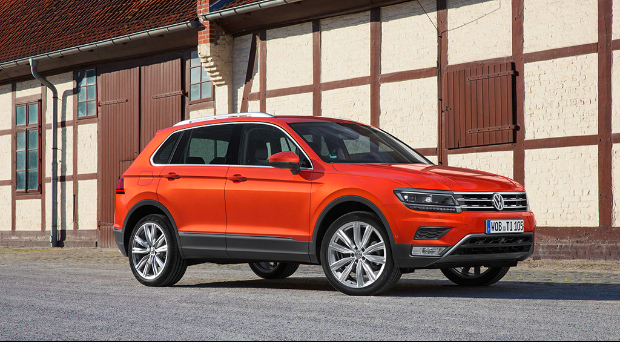 Five-seat from €35,450; 2.0TDI 190hp DSG 4Drive Xcellence seven-seat on test: €51,190. Spec includes: 19ins alloys, Park Assist, adaptive cruise control, digital cockpit, LED lights, three-zone air con, 8ins touch-screen, nav, three USB ports, voice control, sliding second row seats. Test car included top-view camera, dynamic chassis control, sunroof, 20ins alloys, 10 speakers. A mid-sized crossover based on the Golf. Refined and stylish with a classy interior.